Living a Fit and Full Life: Reach For the Stars and Follow Your Dreams this Month with Parragon Books! Reach For the Stars and Follow Your Dreams this Month with Parragon Books! Parragon Books are some of the most fun books around and make terrific gifts for just about any occasion! Below you will find some amazing books that my family and I absolutely love! Imagine all the amazing things you can be in Dream You'll Be by Joseph T. Garcia, illustrated by Kimberley Barnes. Dream You'll Be by Joseph T. Garcia is an amazingly fun book for kids! My kids absolutely love the colorful illustrations and fun story. I love that it teaches kids that they can be anything they want and have fun doing it. It's the perfect bedtime book to send little ones off to sleep dreaming about their future. 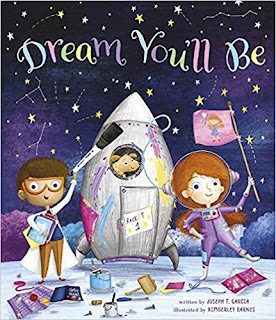 Dream You'll Be by Joseph T. Garcia is a new favorite in our house and would make a terrific addition to any child's library! You can find Dream You'll Be on Amazon, Barnes and Noble and other bookstores. Preschool Thinking Skills Ages 3-5 has over 65 pages of learning problem-solving skills. In this book your children can learn sequencing, spatial recognition, science, matching, and nature. 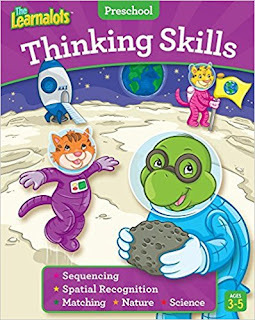 This book is packed with activities featuring the Learnalots to practice thinking skills. The Learnalots Preschool Thinking Skills Ages 3-5 is a terrific preschool book for little ones! As a homeschooling mom of four, I absolutely love books like this that teach kids all while allowing them to have fun. My daughter loved working in this book and I love that it's helping her to practice thinking skills. The Learnalots Preschool Thinking Skills Ages 3-5 is a great book to help little ones learn sequencing, spatial recognition, science, matching, and nature! You can find The Learnalots Preschool Thinking Skills Ages 3-5 on Amazon, Barnes and Noble and other bookstores. STEM Stars Who Rocked Medicine is a wonderfully inspiring book for budding doctors or scientists who need awesome girl role models. From the earliest female doctors, to pioneering geneticists, to amazing transplant surgeons . . . Discover the inspiring stories of 19 of the most awesome female scientists, inventors, and health-care providers who have dedicated their lives to healing the world! 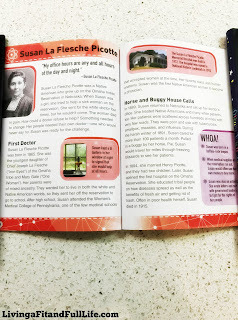 Discovery Stem Stars Women Who Rocked Medicine is an awesome book! My seven and ten year old loved learning about awesome female scientists, inventors, and health-care providers who have dedicated their lives to healing the world! As a homeschooling mom, I love that this book teaches them as well as teaches them that they too can be amazing. 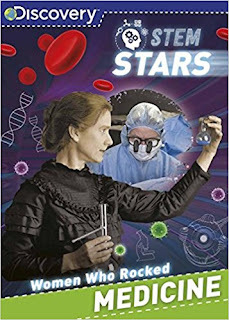 Discovery Stem Stars Women Who Rocked Medicine is a terrific book that I highly recommend! You can find Discovery Stem Stars Women Who Rocked Medicine on Amazon, Barnes and Noble and other bookstores. STEM Stars Women Who Rocked Space is a wonderfully inspiring book for any budding scientist who needs awesome girl role models. From the first woman astronomer, to the ladies known as computers, to a record-holding spacewalker . . . Discover the inspiring stories of 19 of the most awesome female explorers of our solar system and beyond! 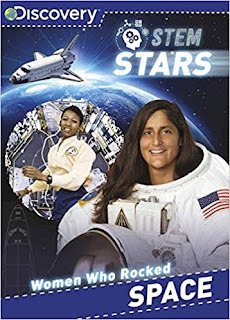 Discovery Stem Stars Women Who Rocked Space is an awesome book! 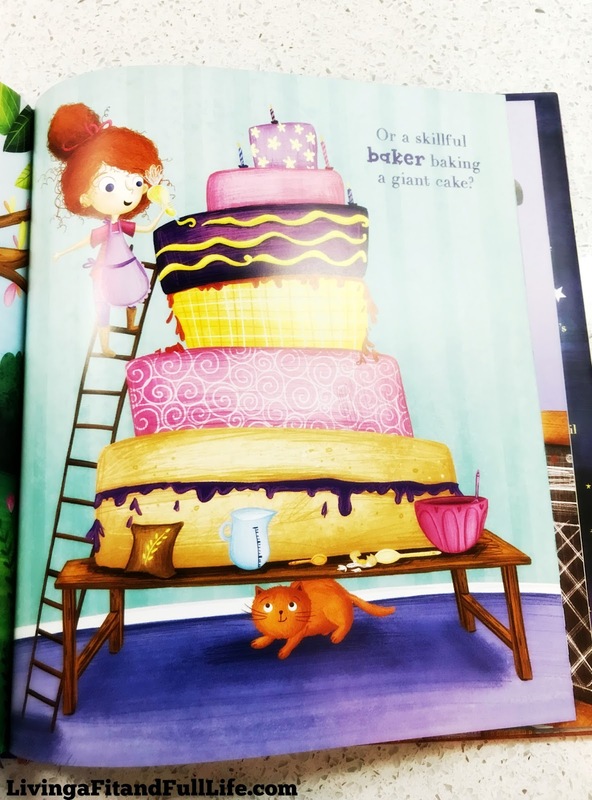 As the mom of three girls, I knew this book would be well received. I also have one little girl who loves all things space so she was ecstatic to read through this book. This is a terrific book to teach girls about 19 of the most awesome female explorers of our solar system and beyond! 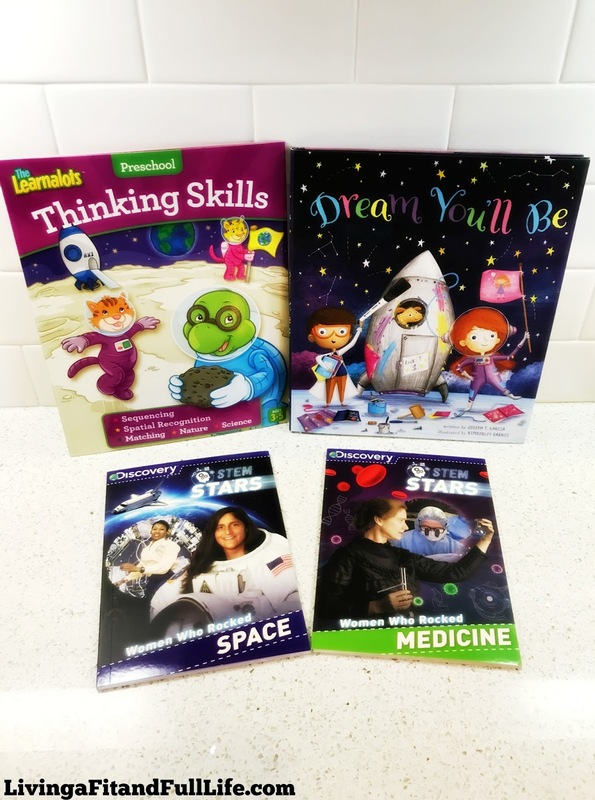 You can find Discovery Stem Stars Women Who Rocked Space on Amazon, Barnes and Noble and other bookstores. Power bowls are the latest big thing in the foodie worlda "we now see smoothie bowls, breakfast bowls, Buddha bowls, macro bowls, poke bowls, quinoa bowls, and flex bowls on upmarket menus and health blogs alike. So what is the appeal? A substantial part is linked to macrobiotics, the idea that fresh, unprocessed local produce is always the tastiest and healthiest, and that a varied combination of food groups will give you the perfect balance of nutrients. The 50 bowls in Bountiful Bowls focus on breakfast bowls, savory snacks and lunch bowls, salad bowls, main meals in a bowl, and dessert bowls, each one with a clear emphasis on fruit, vegetables, beans, or alternative sources of protein. The bowls are often colorful and visually appealing, based on bright natural colors and appetizing texturea "crisp red bell peppers, deep red tomatoes, crunchy pale green salad leaves, blanched red-rimmed circles of radish, the lush purple of beets, small blocks of feta, or the inviting oranges, yellows, and greens of split peas or lentils. So ita (TM)s time to embrace the bowl in all its glory, with dishes such as Beet and Pomegranate Smoothie Bowl, Crunchy Noodle Beanfeast, Grilled Chicken and Slaw Bowl, Veggie Burger Bowl, and Pumpkin Pie Smoothie Bowl. Bountiful Bowls: Fresh, Vibrant, and Nutritious Flavors in a Bowl is an awesome book to help you learn how to make your own Bountiful Bowls right at home! I have to say that the pictures throughout make everything look amazing. I've tried a few things from this book and was pleasantly surprised at how delicious they tasted. It's the perfect way to eat healthy and try a few new recipes. 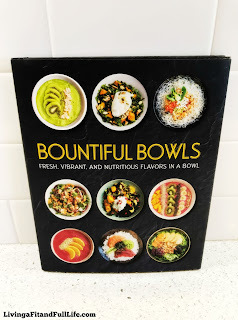 Bountiful Bowls: Fresh, Vibrant, and Nutritious Flavors in a Bowl is a terrific addition to my cookbook collection and I can't wait to try even more recipes from this book! 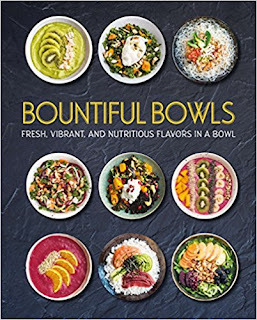 You can find Bountiful Bowls on Amazon and other bookstores. From children’s books to lifestyle products, toys and gifts, at Parragon we create products that inspire a lifelong love of learning and play. The global brands we work with set the bar high so we always strive to impress – creating great quality products that delight customers and win awards. Today you’ll find Parragon products the world over - in more than 25 different languages, in over 35 global markets. Where will we go from here? Come with us, and find out. To learn more about Parragon Books click HERE! Follow the Parragon Books on social media! Add a Little Pink to Your Day with IT Cosmetics! Reclaim Your Hair's Health with WEN® Hair Care!